Myth: Lifting weights isn't needed to be healthy and fit. 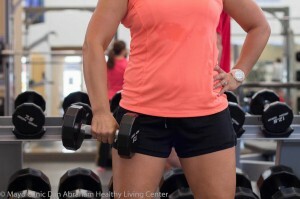 Truth: The type of physique most men and women want actually requires that they gain a fair amount of muscle mass, and weightlifting is the only way to do that efficiently, but there are also other benefits to consider here. Research has shown that starting in your 20’s your body will lose a small amount of muscle and strength each year. Studies have shown the gradual loss of strength and muscle with shorter lifespan, decline of metabolic health, frailty, and disability in the elderly. Muscaritoli, M., et al. (2010). Consensus definition of sarcopenia, cachexia, and precachexia: Joint document elaborated by Special Interest Groups (SIG) “cachexia-anorexia in chronic wasting diseases” and “nutrition in geriatrics”. Clinical Nutrition, 29(2), 154-159. Phillips, S. M. (2007). Resistance exercise: Good for more than just Grandma and Grandpa’s muscles. Applied Physiology, Nutrition, & Metabolism, 32(6), 1198-1205. Fried, L. P., & Guralnik, J. M. (1997). Disability in older adults: Evidence regarding significance, etiology, and risk. Journal of the American Geriatrics Society, 45(1), 92-100.